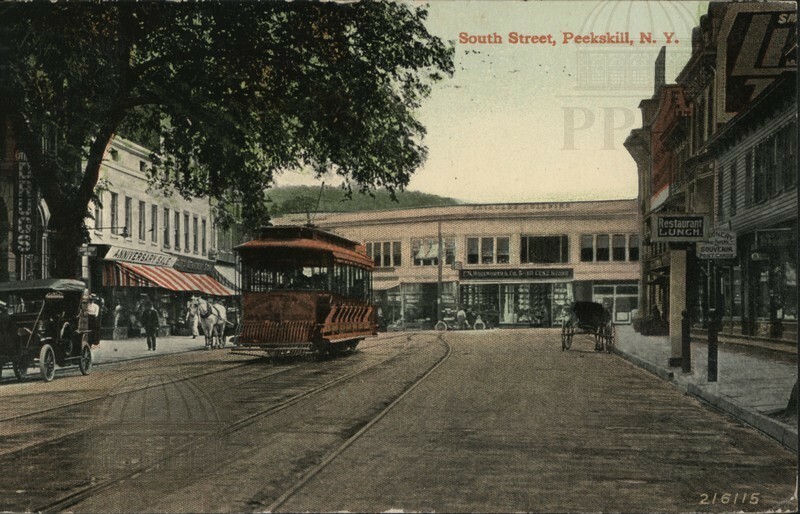 Color-tinted photograph of South Street in Peekskill. 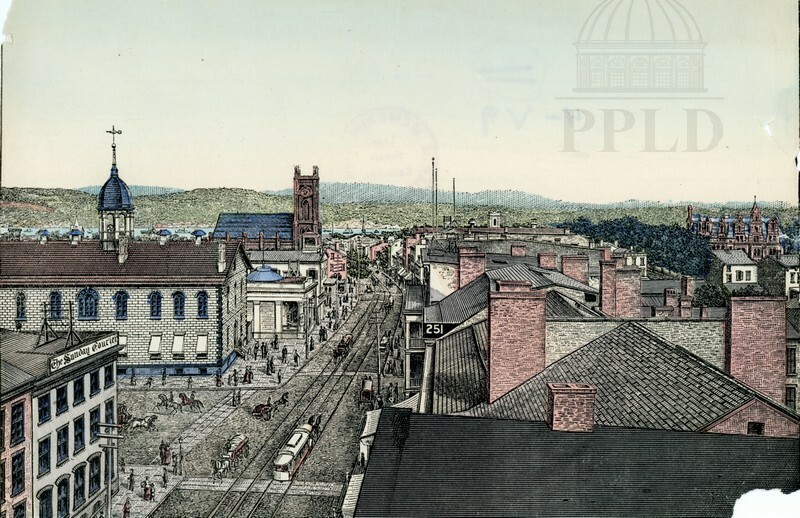 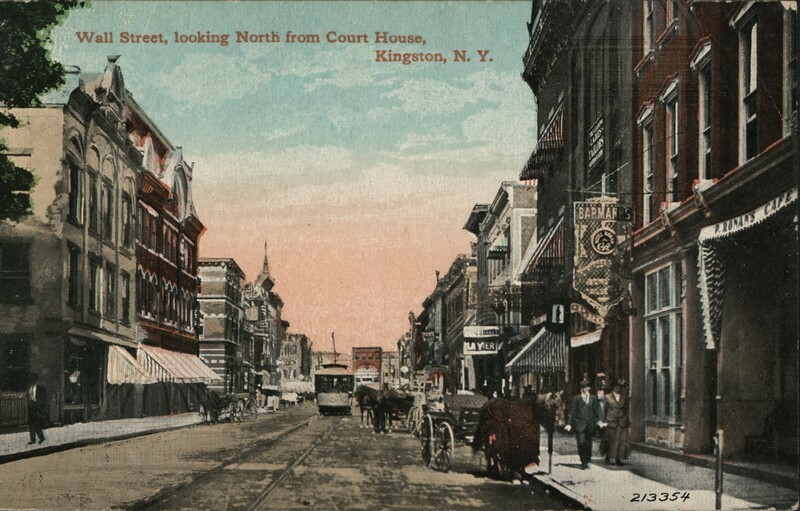 Color-tinted photograph of Wall Street in Kingston, looking north from the Ulster County Courthouse. 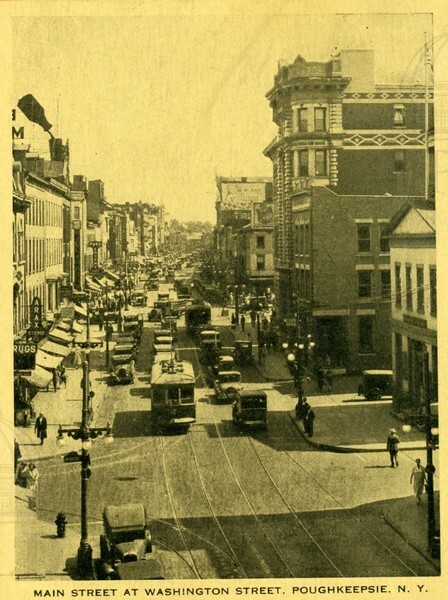 Main Street at Market Street, looking west. 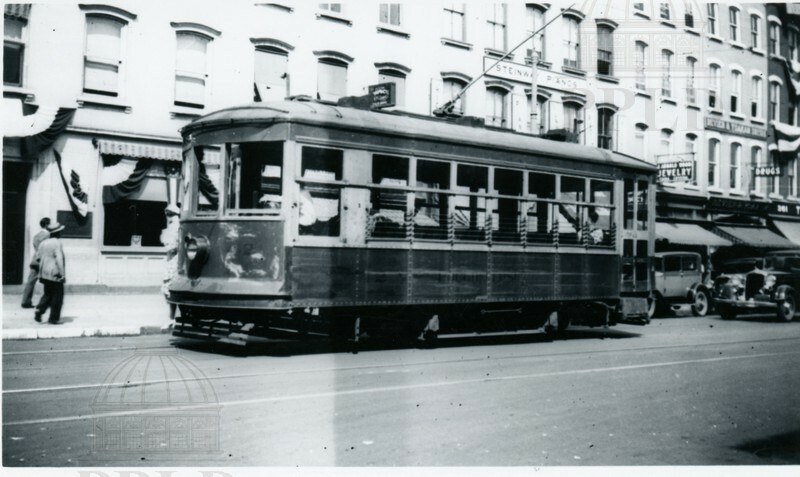 Main Street at Washington Street, Main Street Trolley approaching. 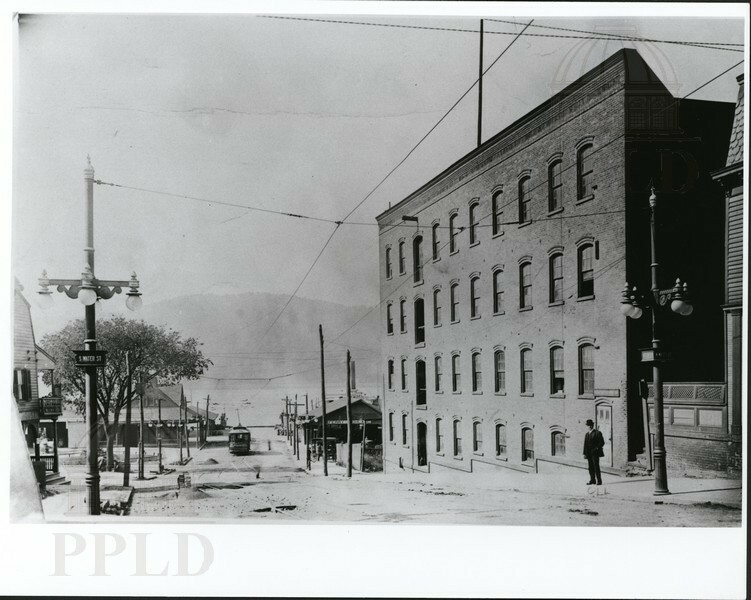 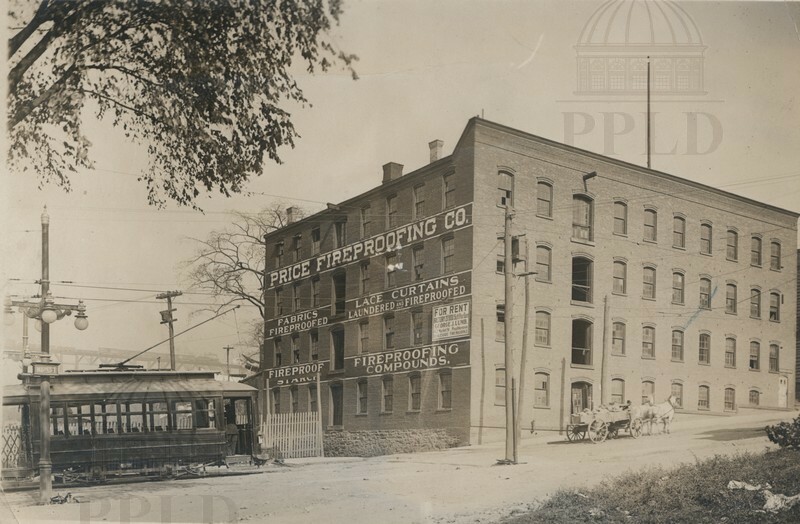 Price Fireproofing Company factory, 19 Main Street. 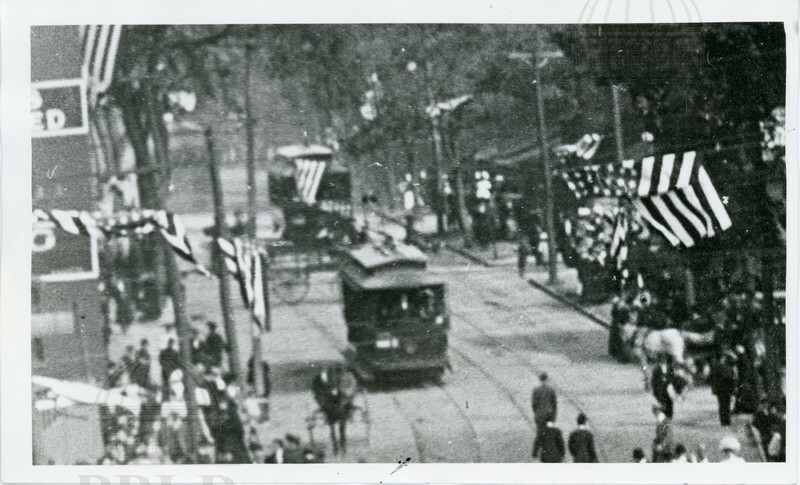 Main Street at South Water Street looking west. 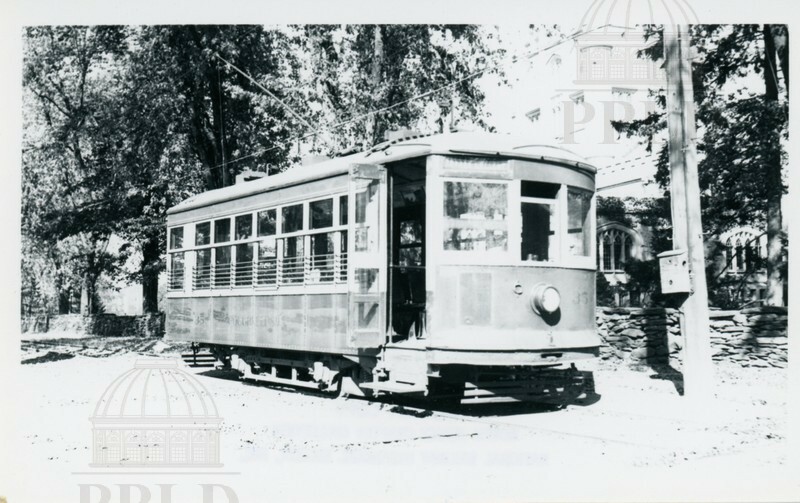 Main Street Trolley approaching. 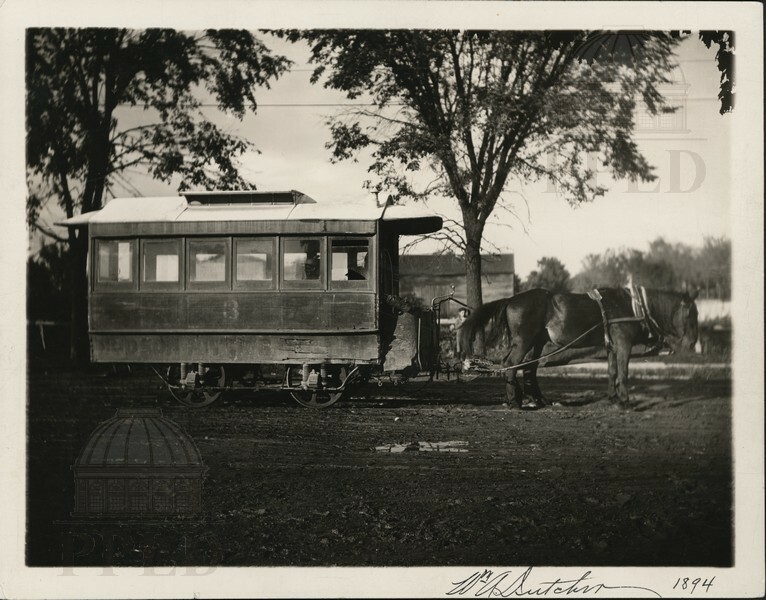 Photo of an early, horse drawn trolley. 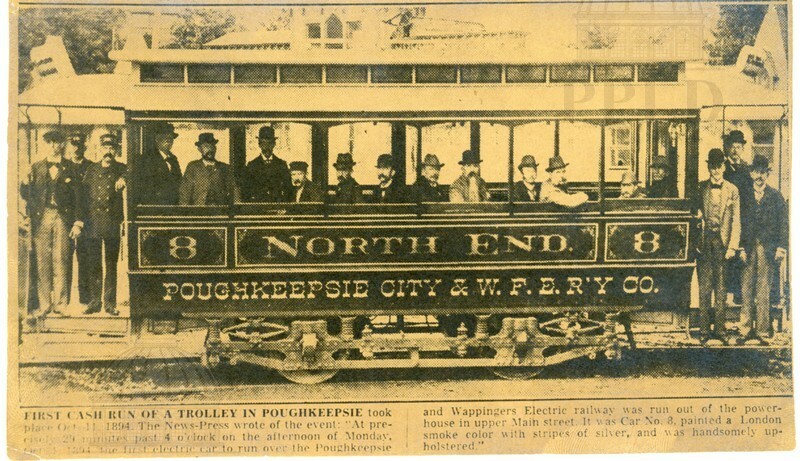 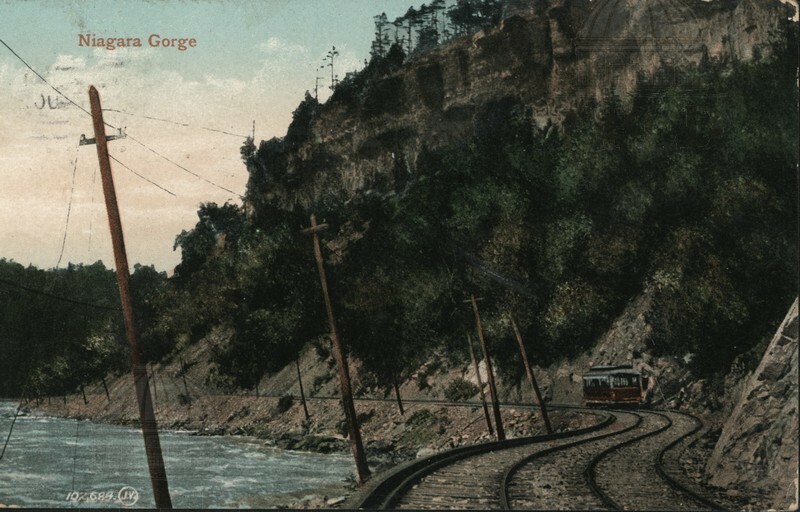 Trolley to Wappinger's Falls, in front of Dutchess County Courthouse. 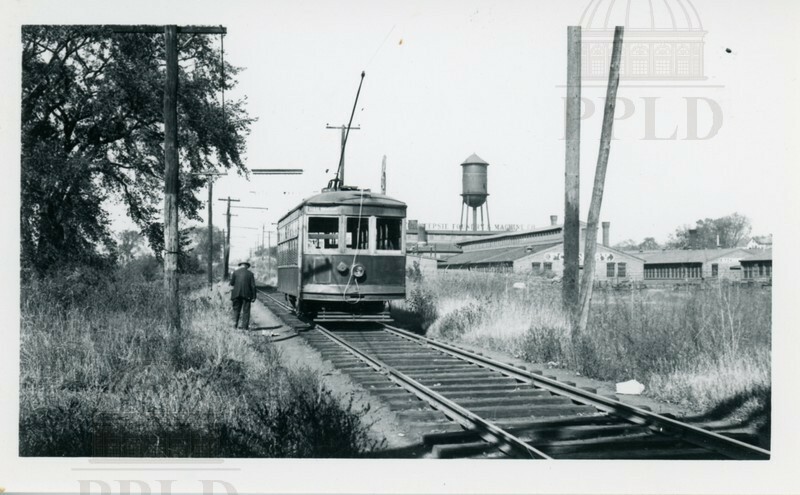 Three trolleys, down near the ferry docks. 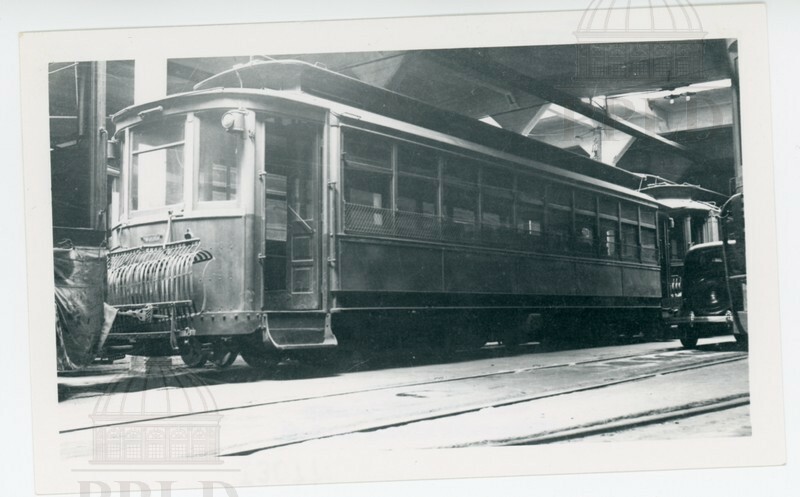 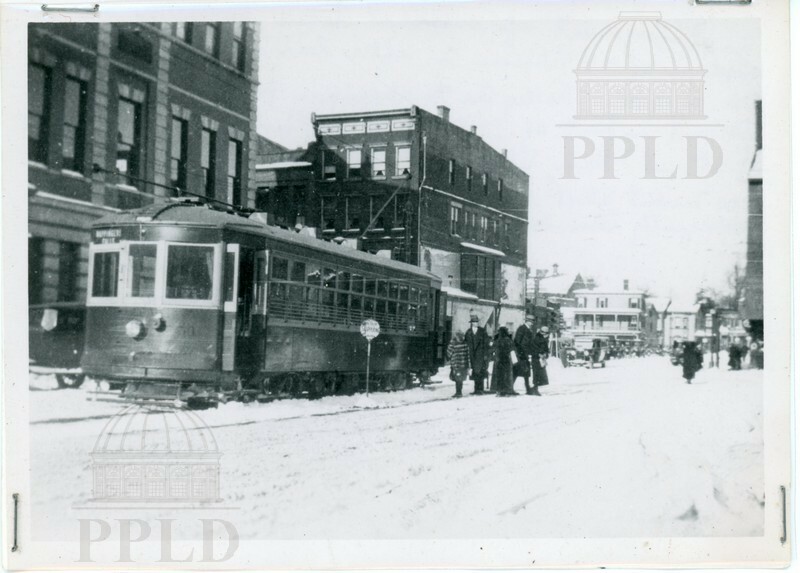 A trolley car sitting on the tracks. 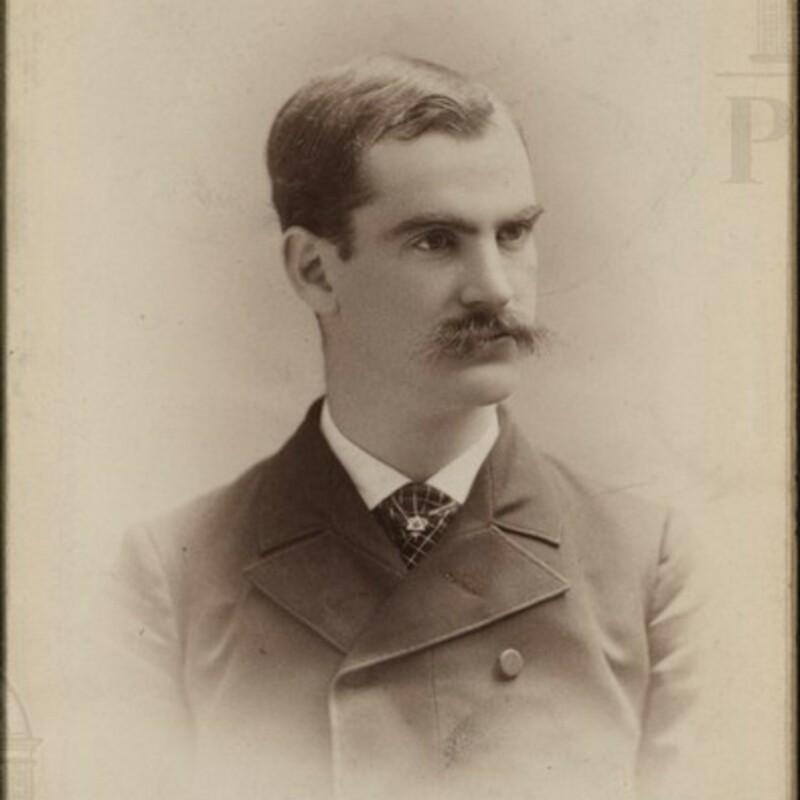 An unidentified individual is pictured alongside. 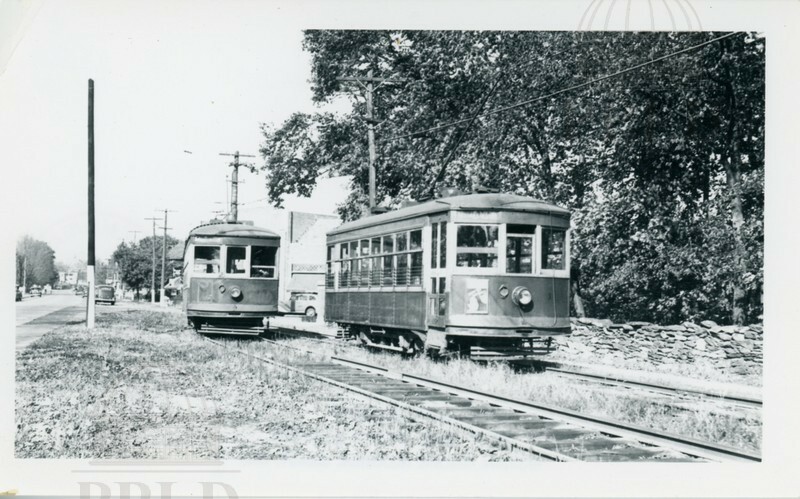 Two trolley cars sitting on the tracks. 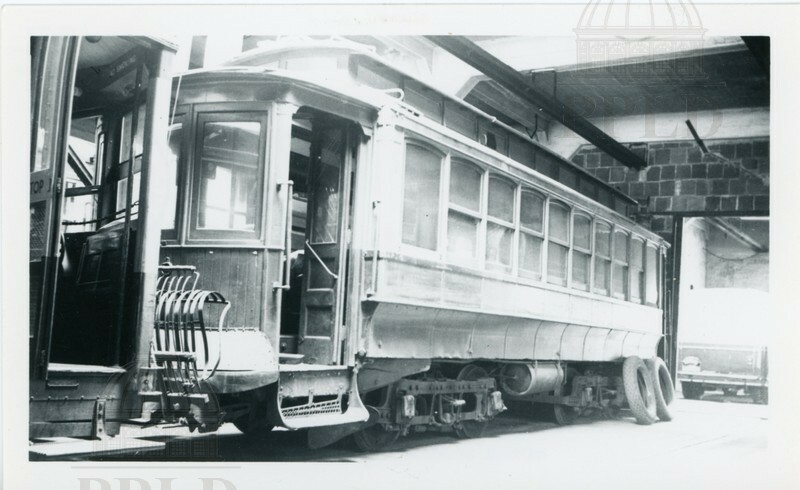 Single Trolley car at rest on the tracks. 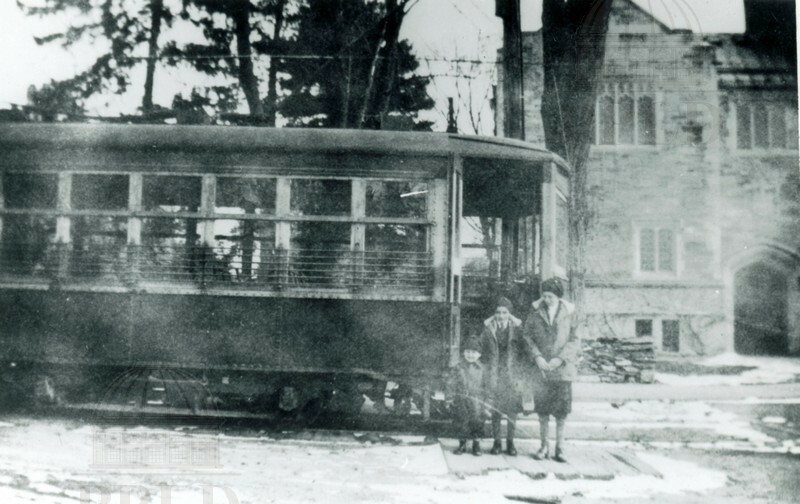 Single track closed car in front of Vassar College. 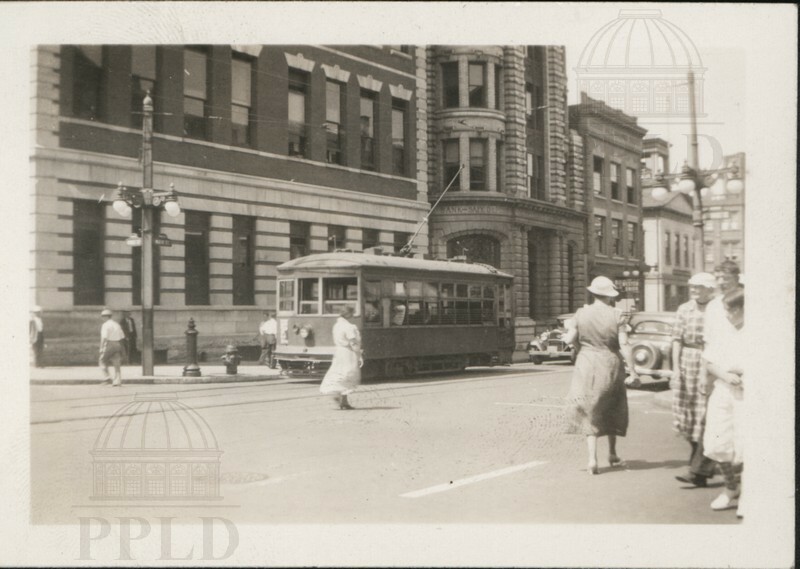 Boarding passengers at foot of Main Street, near the Ferry Dock. 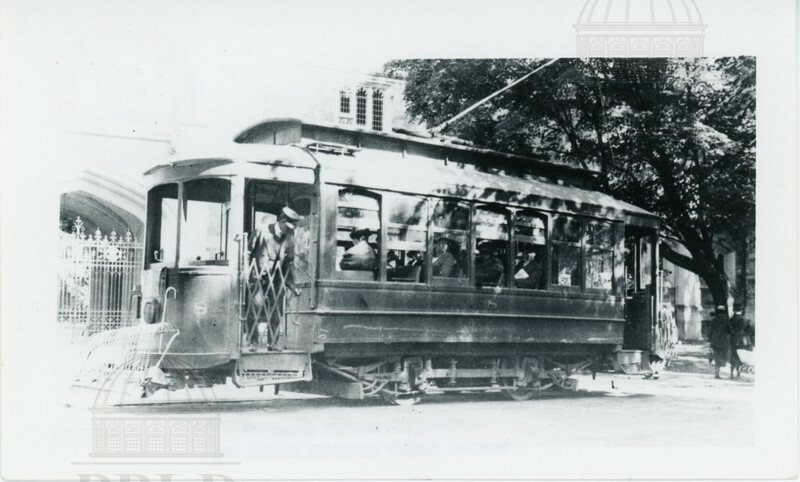 Passengers pictured in front of the trolley, before boarding. 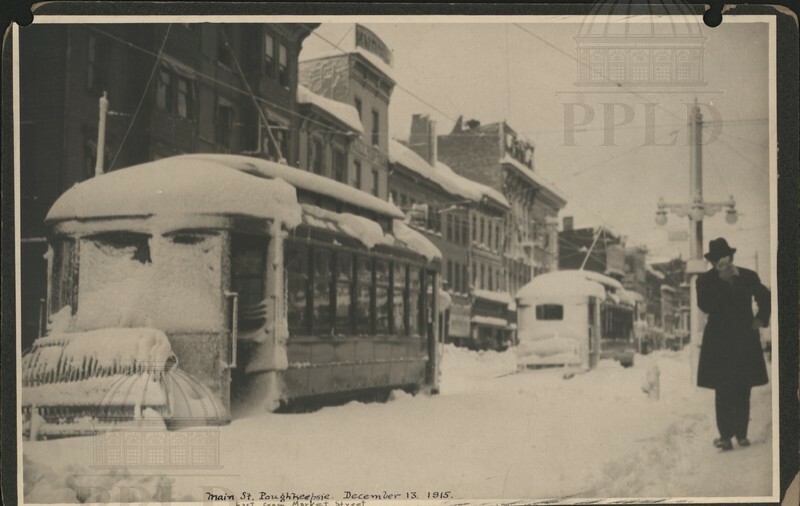 Snow covered trolleys on Main Street, looking east from Market Street. 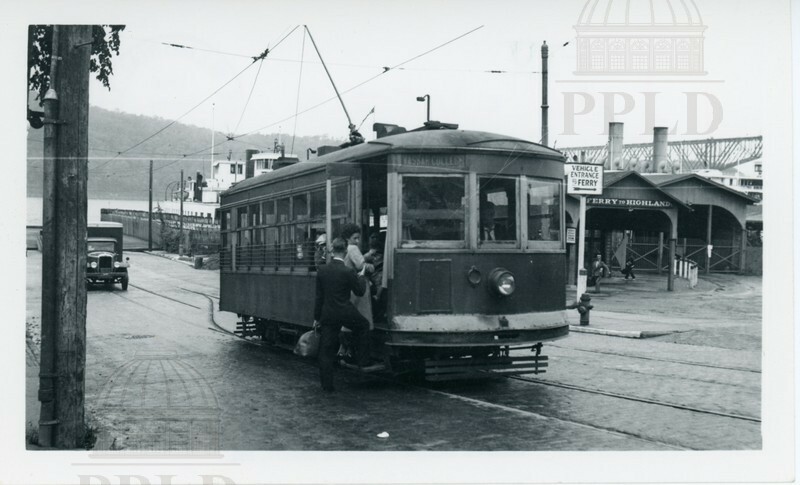 Photo taken one day before the trolley system was discontinued. 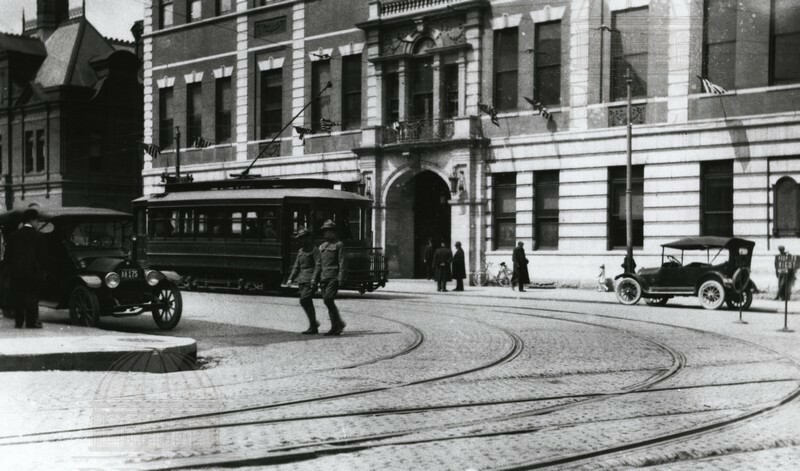 At the intersection of Main & Market, facing the Dutchess County Courthouse. 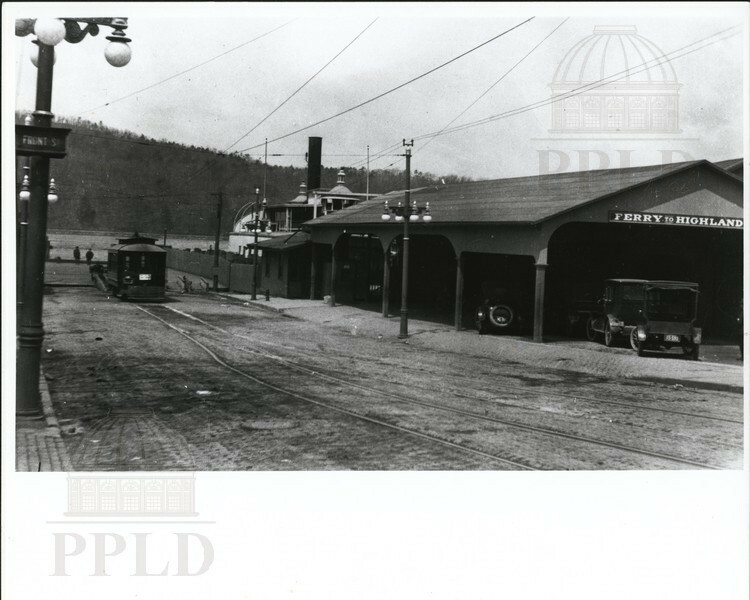 Veiw of the ferry slip & a Main Street Trolley.